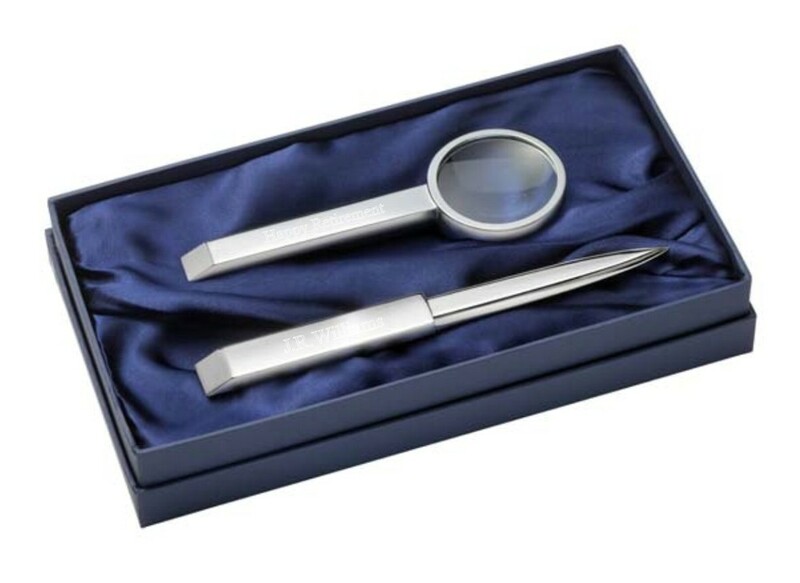 Engraved Silver Plated Letter Opener and Magnifying Glass Gift Set. A beautiful engraved silver plated letter opener and magnifying glass. The letter opener measures 190mm x 16mm x 10mm and the magnifying glass measures 155mm long, with the diameter of the glass measuring 55mm. Engrave with a full name or small message on the handle of each item. This unique gift comes presented in a silk lined presentation box. Perfect gift for birthdays, anniversary, retirement gifts and Christmas presents.